This year at the AIAS Grassroots Leadership Conference, we recognized and celebrated the SUCCESS SEEKERS among architecture students — who all happen to be AIAS members! Continuing off the stories shared and knowledge gained, we want to dig a bit deeper and continue SUCCESS SEEKING throughout the year. “Success” can take on a different meaning for everyone. In AIAS, we recognize many architecture students go into certain focuses within the profession; others pursue academia; many pursue allied professions; and some go onto completely different careers altogether! Yet we know, with an architectural education as a basis, all architecture students are already on a path to success. AIAS is here to supplement your education, showcase what you can achieve with your degree, help you determine your path, support those interests, bridge the gap between education and the profession, and ultimately, aid members into become the best versions of themselves! Thus, this fall we will be taking an introspective approach and SUCCESS SEEKING: INWARDS. We want you to look inward at your individual selves and your chapters. What goals do you have? How do you want to achieve them? What does your chapter value? What does success mean to you? Through this inward analysis, we hope you’ll DISCOVER YOUR individual and chapter PATHS to success and FIND YOURSELVES! We have compiled a Membership Month Manual to spark your excitement and usher you into the new year. We want to give you a springboard to start your year off with a bang! Inside, we hope you will find the resources and support you need to have a successful year of strategic engagement with your members and community. You can find the resources here. The resources include graphics for your chapter pages on Facebook, images for your Instagram accounts and six filters based upon your locale for you to SHARE your individual success stories with the AIAS community. Reach out to your Quadrant Directors or Regional Ambassadors for links to the tools mentioned in the Membership Manual. These representatives will serve as your source for national resources from here on out, so make sure you tune into the Hub Hangouts to keep up to date! We are also announcing a brand new Membership Month Competition – the #GrowthChallenge! This is a new opportunity which encourages your chapter to grow your membership not only quantitatively, but qualitatively. We hope you are as excited to make memories with your peers this season as we are to hear about them! 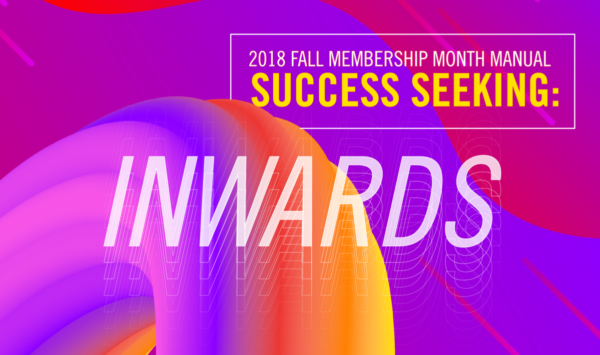 Throughout Membership Month, we will be highlighting individual members and chapters showcasing your experiences as you pursue success and what success means to you! Stay tuned for #MembershipMondays on Instagram and visit our Facebook page for bi-weekly posts covering chapter highlights and operational resources! USE THESE HASHTAGS: SPRINKLE A FEW IN EVERY POST!